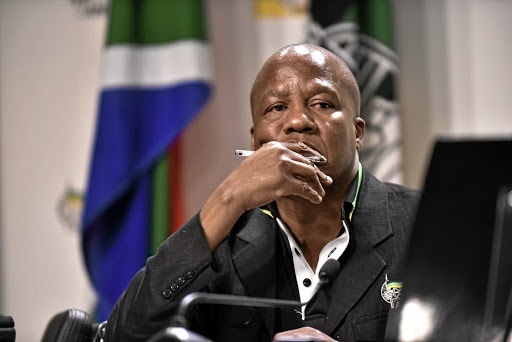 The daughter of ANC chief whip Jackson Mthembu is to be laid to rest on Saturday in KaNyamazane in Nelspruit, Mpumalanga. Mthembu tweeted on Wednesday morning that his eldest daughter, Khwezi, took her own life at their parliamentary village home in Cape Town. "We are in deep pain. We don't know what led her to take her own life at such a tender age of 25 years," he posted on Twitter. He expressed his "deepest gratitude to all who have supported" his family. "We thank our colleagues in the ANC, as led by President Cyril Ramaphosa, the executive leadership of Parliament, as led by comrade Baleka Mbete and comrade Thandi Modise, our colleagues from all opposition parties, the media, as well as all South Africans who have sent their condolences to the family," said Mthembu. Khwezi's funeral service is expected to start with a morning prayer at the Mthembu family residence in KaNyamazane location at 07:00 before proceeding to KaNyamazane Stadium for the main service. The funeral procession will then move to the Nelspruit Cemetery for the burial. My eldest daughter , Khwezi Mthembu , last night committed suicide at our Pelican parliamentary village home in #Capetown . We are in deep pain . We don't know what led her to take her own life at such a tender age of 25 years . - If you are dealing with depression, anxiety or any other mental health issue and are seeking assistance you can contact the South African Depression and Anxiety Group (Sadag) on 0800 21 22 23 (8am to 8pm), 0800 12 13 14 (8pm to 8am) or SMS 31393. - For more information on depression, visit Health24. - Health24 depression guide: What is depression?